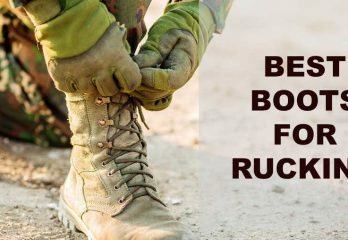 When it comes to choosing the right pair of boots for rugged outdoor use, the purchase is only half the battle. Once you’ve purchased that ideal pair, they’ll still need to be seasoned for wear if you expect them to last beyond the season. 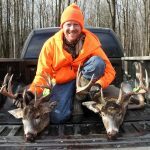 In this guide, we’ll walk you through all the important steps to ensure that your boots will be well broken in and comfortable when you’re ready to take to the woods. 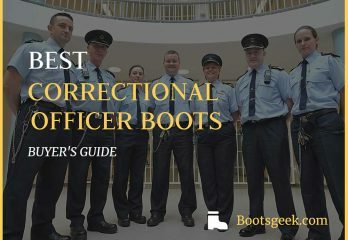 Why Do Boots Need to Be Broken In? 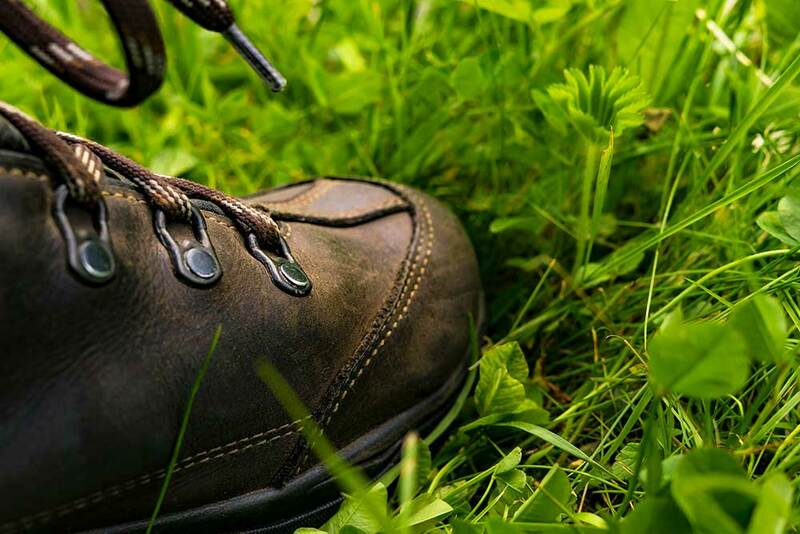 Comfort – Good outdoor boots are usually made of some form of leather (see Types of Materials, below) and leather can be rough on the feet at first. This is mostly because the material needs to undergo a lot of chemical processing while the boots are being manufactured, but some of its stiffness is on account of the leather itself. At any rate, the natural fibers in the hide need to be loosened up and coaxed into a comfortable shape. This will keep it from rubbing in awkward places. 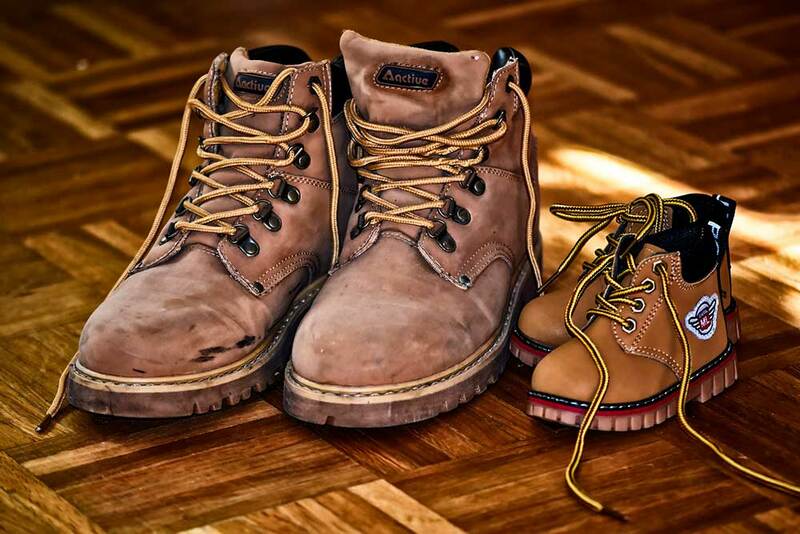 Protection – Wearing boots that haven’t been broken in causes more than just blisters and chafing. It can also contribute to soreness in the heel and arch area, which could lead to even worse problems down the road. By following these steps, you’re protecting your feet as well as your investment. Longevity – Boots that are properly treated will last longer, so you don’t have to keep spending money on a new pair every year. As a bonus, they’ll be so comfortable, you won’t want to part with them a moment sooner than you have to. It might be useful for you to understand the different forms of leather before you begin the breaking-in process. Here are some of the most popular types. Full-grain leather—an inflexible and very smooth leather, one of the materials most commonly seen in high-quality work boots. Boots made of full-grain leather will typically require a longer and more vigorous breaking-in period. Nubuck leather—also full grain, but with a finish that causes it to resemble deer hide. Split-grain leather—also known as suede, this leather also has a soft and furry surface and therefore requires the same treatment as Nubuck, but the material has more flexibility. If you don’t have a lot of time to devote to breaking in the boots (see Time Frames below), you might want to consider buying a pair made out of split-grain leather. 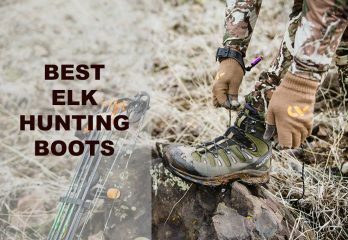 By now, you may be asking yourself, “All right, I understand that it’s important, but how much time are we talking about here?” The good news is that it doesn’t take all that long to prepare your boots for that next backwoods adventure. The most important thing to remember is that you need to take it slowly at first. As long as you’ve followed the steps outlined below, you should be more than happy with the results. The correct procedure for breaking in boots can vary, depending on how much time you have to devote to the process. The following steps assume that you’ll give yourself two weeks to get the footwear in fighting shape. Below that, we’ve outlined some simple hacks for speeding things along if you have only a week to spare. As a side note: Now might be a good time to consider investing in some well-cushioned socks, if yours are getting a bit worn in the sole. These will come in handy at first, as your feet are getting acclimated tot he new material. A set of blister pads might also be a good idea, just in case any hot spots develop. The best time to start testing your leather boots is in the early morning. The air is cooler and more comfortable, and your feet should be well rested after a night’s sleep. The fact that our feet are always closest to their true size in the mornings is another plus. Put your new boots on as soon as you get up, and wear them for as long as you can manage. If you start to experience any soreness or discomfort, it’s time to take them off for the day. Even if they still feel comfortable by around lunchtime, you should switch to another pair at this time—it’s best to remove them before your feet begin to sweat and swell up in the afternoon heat. 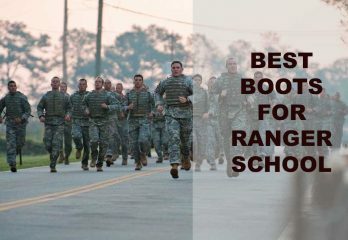 During this period, give the boots some tough love. Crush the leather with your bare hands, wringing the tongue and area around the laces. Pay particular attention to the tougher spots, like the toe and heel. Don’t worry about causing damage — as long as you’re not unnecessarily rough, the leather should be able to withstand the punishment. Remember that this is nothing compared to the beating they’ll be taking out in the woods; you’re just preparing them for battle. If at all possible, purchase your boots at least two weeks out. The more time you have to break them in fast, the better. Still, if that’s not an option, there are ways of rushing the process. Make a solution of 4 parts rubbing alcohol to 6 parts water. Spray this solution on the inside of the boot only, and leave the boots untouched until the next morning, when it’s time to put them back on. Repeat this same process daily. Insert wooden shoe stretchers (available at most footwear outlets) into the boots to gently stretch the fibers. Widen the settings every couple of days until the stretcher is the same width as your other shoes. Fill two large zip-close plastic bags with water, taking care to squeeze all the air out. Force the filled bags into the boots (double up the bags, if necessary; you don’t want the water itself to touch the insides of the boots). Place the boots in the freezer and leave them there overnight. The water will expand as it freezes, stretching out the leather. Repeat this process every day (take care when pulling out the plastic bags, so the ice doesn’t damage the boots) until the material feels comfortable. As mentioned above, it’s essential to start out slowly, even if you’ve followed all the instructions to the letter. Don’t expect to get a full day’s wear out of the leather right off. 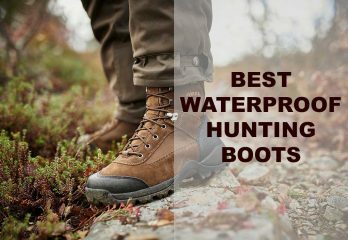 Wear them on a couple of short hikes, around 30 to 45 minutes. This will help the material acclimate gradually to the paces you’ll be putting them through later on. At this point, if the boots still feel uncomfortably tight or ill-fitting, it’s time to pay another visit to the sporting goods store where you purchased them. The sales associates should be able to give you pointers to help correct the fit. We realize that this process might seem overly long and repetitive, but they’re worth the effort if you want your boots to provide sufficient comfort and protection in the long run. For serious outdoor enthusiasts, a decent pair of leather boots is invaluable. Proper care and maintenance is even more important if you want to make the most of your investment. 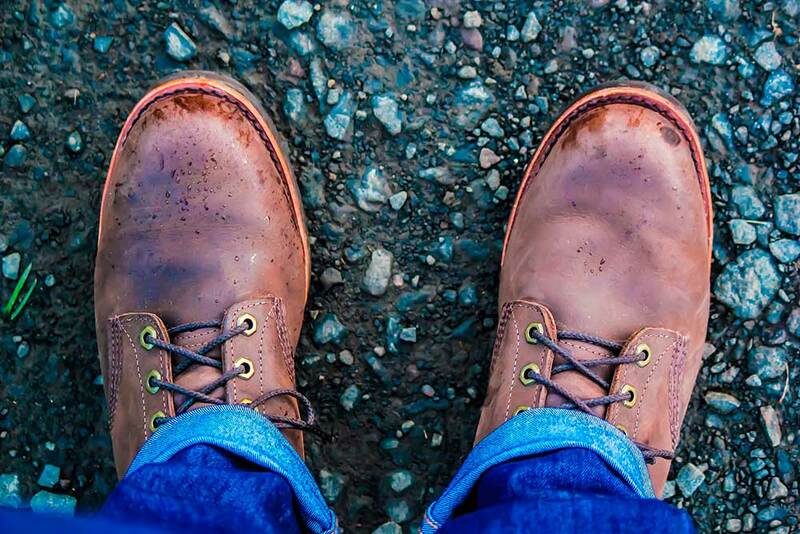 Aside from the basics such as cleaning and waterproofing, a slow and steady start is the key to successfully broken-in boots. Remember this, and resist the urge to indulge in “quick fixes,” such as filling up the boots with water. These will only result in disappointment and potential damage. As we move into the future, technological advances are cropping up all around us, and the world of footwear is poised to join the movement. Boots with heating and massage functions—or even GPS capabilities—are already available in some markets. Healthcare professionals would like to see even greater advances in the days to come, such as placing nerve stimulators in the soles to promote blood flow and overall wellness. Thus far, however, there are no plans for manufacturing a leather boot that can break itself in. That aspect will still be up to you for the time being, so you’ll want to do your best to get it right. Best of luck, and happy trails!